The Ronix Eight.3 Telescope CTN (400 lbs) V-Drive Sac is designed to fit in the rear compartment of any v-drive boat. 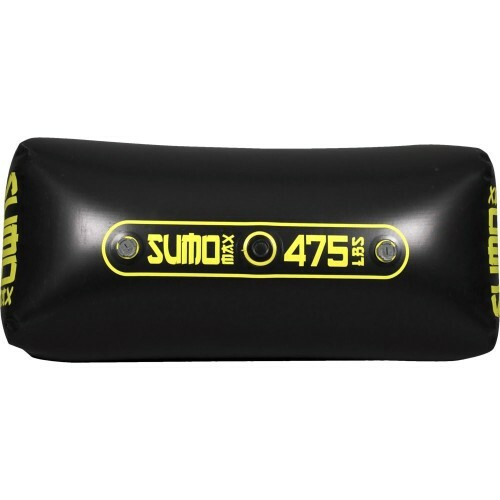 This sac is also perfect for building a massive wakeboarding or wakesurfing wake behind a direct drive boat as it’s size makes it the most versatile in the line. The width of the bag tapers from being the widest at the bottom to create a trapezoidal shape which Ronix coined, anti-roll technology. This means no more monitoring your bags. Just fill them and leave them. Ronix rethought and redesigned nearly every aspect of the wakeboard ballast bag. 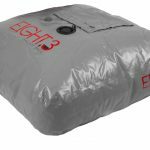 Constructed from a single layer of the same durable yet flexible material used to build white water rafts and Fly High Pro X series bags, the Ronix ballast bags offer unmatched strength and durability. 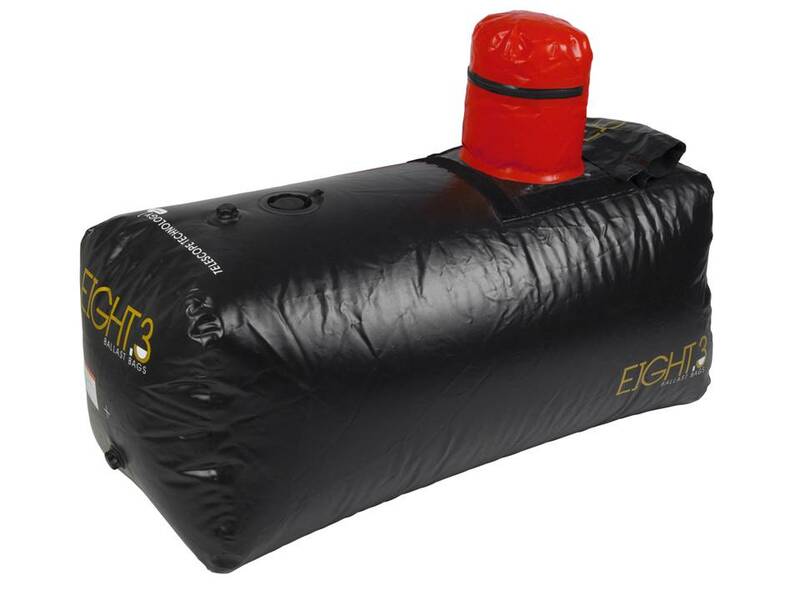 All Ronix 8.3 ballast bags feature multiple sonic welded threaded ports built into the bags during construction. To fill simply connect the male fitting on the end of the hose to the quick fill port on the top of the bag. Don’t worry about spilling any water as there is a built in check valve to eliminate spills even when the bag is over filled. 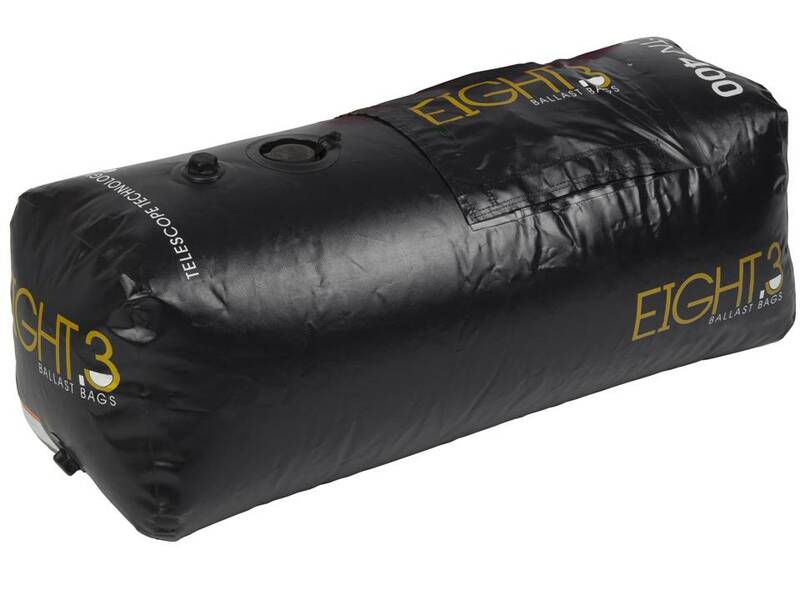 There are three 1″ Plug and Play ports on the new Eight.3 bags which will allow for system integration. One drain port on each end and one fill/vent port on the top of the bag. Riders looking to fill their bags three times faster will like the huge quick fill port on top right next to the telescoping drain hood. Ronix has scrapped the traditional square or round shape for a new and improved trapezoid shape. 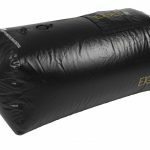 This provides a base that stops the bag from wanting to roll when filling and draining. This feature alone will help boat owners that don’t want to monitor their sacs more than they do their own children.